Our mom means business when it comes to decorating for Christmas. Every December our home transforms into the liking of the house from Home Alone –everything red and green and adorned with greenery, lights and cotton snow. And I love it! When we were kids, we always fought over who got to set up our nativity scene. It was one of those old, ornate sets with heavy pieces, and I loved inspecting each of the characters: the flock of sheep and the shepherds in their rags, the angels in their simple white robes, Mary and Joseph in their drab road-worn layers, and a naked baby Jesus wrapped in cloth. And then there were the wise men. They never seemed to fit in with the rest of the scene. While all the other characters were humble in nature and dress, the wise men sat royally on camels wearing golden robes embellished with jewels, holding treasure boxes that shone in the night. I never knew where to place them in the nativity, and so they often ended up outside the stable. As is my nature, each Christmas season I find myself searching for the fresh in the midst of the tradition. One hand on the beloved convention of it all, one hand on how Christmas’ underlying meaning shapes me now. And this year, it is the classic yet mysterious story of the wise men that has offered me a new perspective on the coming of my Jesus. The wise men (or as later traditions refer to them, The Three Kings) heard tell of the birth of the King of the Jews, and they made their way to Israel in search of Him. ‘Where is the one who has been born king of the Jews? We saw his star when it rose and have come to worship him” (Matthew 2:1-2). They were expecting a king and all the pomp and circumstance that traditionally came with a royal birth. But we know that Jesus did not arrive this way. Instead, on a chilly Bethlehem night in the muck of the outdoor animals, baby Jesus entered our world and was laid in a feeding trough. 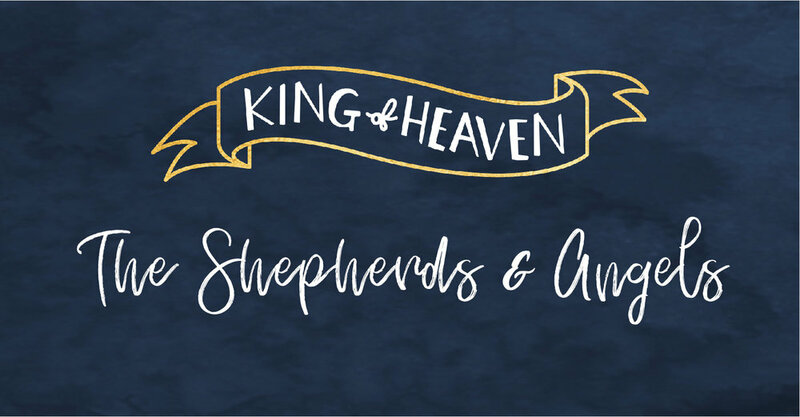 His birth—this King’s birth—was not met with a grand announcement; in fact, it was announced only to the outlying-outcast shepherds. When news slowly spread of the Messiah’s birth in Bethlehem, the wise men made their way from Jerusalem to the city in Judea. They came bearing gifts fit for a king—gold, frankincense, myrrh. ‘On coming to the house, they saw a child with his mother Mary” (Matthew 2:11). A humble home and a simple greeting. Nothing flashy, nothing showy. And I have to wonder… were they surprised? Did they pause to scratch their heads? Could this really be the Messiah-king whose coming had been foretold for hundreds of years? When the wise men left Bethlehem, they were ordered to report to King Herod where Jesus could be found…presumably so Herod could kill the Messiah and protect his own throne. But having been warned in a dream not to reply to Herod, the wise men returned to the east. But the threat of a new king threw Herod into a rage and prompted him to slaughter all of the baby boys in Judea, sending Mary and Joseph fleeing to Egypt to hide from the raging king. Baby Jesus—heaven’s King—was now a fugitive. 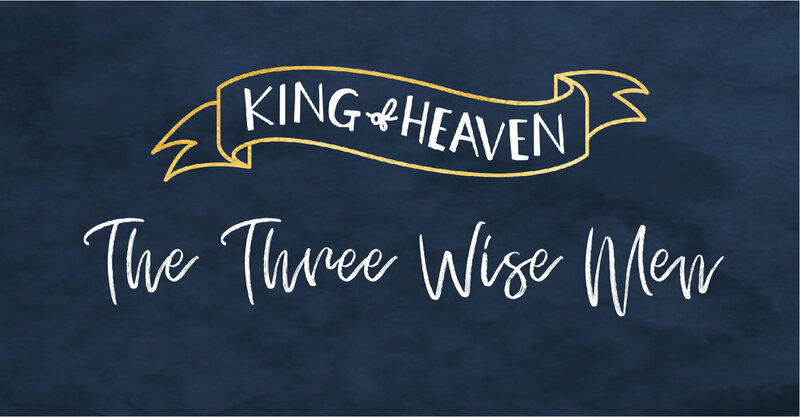 This side-story of the wise men shines a bright light on the paradox that would mark Jesus’ life and ministry over the 33 years He walked this earth. Jesus—Immanuel God with us. This God is the same God who for centuries prior to Jesus’ birth revealed Himself to the people of Israel in a pillar of fire, in the miraculous parting of seas and in burning bushes. But on Christmas night when our Creator ripped through the Bethlehem skies to save the world He loves, He chose to come not as a King riding in with a great flash of extravagance and pretention. Instead, He came in the most vulnerable and helpless form—a baby—and he began His life as a fugitive in a foreign land. A paradox. Why? Why this way? Why not come as the wise men (and most of the Israelite people) expected? …as a conquering King, robed in majesty and glory. Perhaps it’s because He knows we need a Saviour who is like us—who we can identify with. Who chose vulnerability as an infant and so births a safe space for our own vulnerabilities to break the surface of our hardened hearts and forge a path to freedom. The way of Jesus’ coming disarms us of our own pretentions and efforts to have it all together. And this kind of vulnerability is what births intimacy with Him. When I feel low and unseen, I remember that my Jesus chose to spend the first hours of His life in a feeding trough. When I feel lost and out of place, I remember that my Jesus spent the first months of His life as a fugitive in a foreign land. And when I feel like life is unbearable and its weight is crushing, I remember that my Jesus willingly walked the road to Calvary where He gave His life so that I could know full intimacy with Him. “For we do not have a high priest who is unable to empathize with our weaknesses” (Hebrews 4:15). He gets me. Every time. Though this message is easily lost in a season that has become so highly decorated and adorned with all the gold tinsel and red ribbon, this is what we celebrate this Christmas. And as I now look upon that nativity scene, I no longer see the wise men as misfit royalty in the midst of the most humble of characters, but rather I think they fit perfectly in place. Their extravagance serves as a perfect contrast to the accessibility and simplicity of the Saviour that stooped low to save me. A King who chose not to come in the expected form of royalty but instead took on the surprising form of the most lowly and vulnerable. So perhaps those ornate wise men figurines don’t belong outside of the stable after all; maybe they belong right by that manger-throne, worshipping the King—shoulder to shoulder with the shepherds and the outcasts and the humble…and me. This picture painted from Luke’s gospel is one I’ve seen and heard a thousand times. But as I’ve dug a little deeper into this familiar nativity story this Christmas, I don’t think it will ever be quite the same for me. Though I tend to focus more on the earthly side of things, this year I have found myself imagining what the perspective of the angels was that night. All of heaven surely knew that this moment was coming, and the angels understood the full weight of what Jesus’ birth meant for all of humanity. His coming would change the world forever, making right what sin had stolen and offering every single person the opportunity to be reconciled to God once again. I don’t know of more exciting news than the news of a new birth. When I was pregnant with Ivey, I wanted to tell everyone she was coming. And when she finally arrived, I could barely contain my excitement! Can you imagine how the angels felt about Jesus’ birth? My anticipation times a billion! I’ve tried to picture the celebration of that night when Jesus arrived, wrapped in flesh for the first time. A baby so small and fragile and yet the King of Heaven! No earthly delivery room party could come close to the praise and pure elation of Heaven on that Christmas night. The angels must have been bursting at the seams as they readied themselves to be summoned by the Father to declare this glorious news to the earth! And so God gathered His angel armies and sent them to tell the news. But to whom did He send them first?... To the shepherds. I’ve often wondered why God chose to send this earth-shattering announcement—this Gospel—to the lowly and outlying shepherds. But I know that God has purposed every detail of His story, and the angels coming to the shepherds gives us a glimpse of the Father’s heart for ALL people. No matter how unseen, unwanted or simple you and I may feel at times, our loving Father comes for us. And that is good news. But still, He could have chosen so many others who felt like outcasts. So why these shepherds? Well…God is in the details, and He has purposed everything according to His plan. Now when I sing about the angels and I read about the shepherds, I see it all lit up in new light. And I hope these few revelations can help breathe some fresh life into this Good News again this Christmas for you. I have SO loved reading the Advent story from the Passion Translation in this season, and so I pass it on to you. Take a few minutes to read it and breathe in the mystery and wonder of the infant King who came for us. Christmas day at my grandparents’ farmhouse was always a sweet combination of love and chaos—anyone with a large family can probably relate. Each of my grandparents’ four kids (my mom included) brought their entire family to the farmhouse with all of their wrapped presents in tow. All thirty or so of us exchanged gifts one by one—we’re talking hours upon hours of opening presents together. But before any gift was ever unwrapped, we always honored the family tradition of sharing the year’s highlights. From the adults to the kids, we all shared what God had done in our lives over the past year—tears and laughs always accompanied the stories. In reflection, those were some of my favorite Christmas memories. But at the time, I vividly recall feeling deeply uncomfortable and hesitant to talk about God and praise Him for what He was doing in my life. If I was to be really honest, I think it was because I had yet to really have a personal encounter with Him. Authentic worship always comes from a fresh advent of Him. Over the years that followed, I encountered and fell in love with God, and Christmas began to mean so much more to me than a pile of presents under the family tree. When my grandparents eventually passed away and my aunts and uncles’ families grew far too large to combine Christmases, we began new traditions at my parents’ home in Seattle. But just like Christmases of old, we still share our highlights before the gift exchange. Having now experienced a Holy Spirit advent in my life, I can’t help but boast about the Lord and His good work in my heart when my turn to share comes! I think that’s how it is with the Lord. When revelation of Him is void, our tongue is tied and our worship suffers. But when we experience everyday advents, it leads to a soft heart of praise. The same is true for Zechariah and Elizabeth. Having spent five months in seclusion with the Lord having her heart deep cleaned and prepared for a fresh advent, one day Elizabeth is greeted by Mary the mother of Jesus (who had just had her own angel advent and supernatural conception). Scriptures say that ‘when Elizabeth heard Mary’s greeting, the baby ]John] leaped in her womb, and Elizabeth was filled with the Holy Spirit’ (Luke 1:40-41). Because of the preparation that had already been done in Elizabeth’s heart, she was fully ready for this arrival of the Holy Spirit at her first encounter with Jesus (even in the womb). What a beautiful moment that must have been! Mary ended up staying with Elizabeth for about three months, and at some point during that time she penned one of the most beautiful praise songs in scripture. Though Mary gets credit for writing the song, Elizabeth was present when it was written. So I like to think of it as a co-write: ‘My soul glorifies the Lord and my Spirit rejoices in God, my Saviour…He has filled the hungry with good things’ (Luke 1:46-55). A Holy Spirit advent always leads to authentic worship! In the same way, Zechariah’s preparation season of silence made ready his heart for a Holy Spirit advent of His own. While Elizabeth’s heart was prepared and filled in the fifth month of her pregnancy, it took the Lord a little longer to work on the lack of faith in Zechariah’s heart. Soon after their son was born, they had still not officially given him a name. Naming was significant in Jewish tradition, and it was custom to name a child after his father . So all of the friends and family naturally suggested they call him Zechariah. Still silenced by God and unable to speak, they gave Zechariah the last word on the child’s name. The significance of this moment is profound. After more than nine months of silence while God dealt with his lack of faith, Zechariah now had a choice to make—cave to the pressure of logic and his people’s tradition or obey, in faith, the word God clearly gave him, ‘You are to call him John’. The family handed him a writing tablet and on it he wrote his answer; we will name the boy, John. An absolute act of faith! In that moment of obedience, Scripture says that ‘immediately his mouth was opened and his tongue was loosed, and he began to speak, praising God…Filled with the Holy Spirit, he began to prophesy’ (Luke 1:64-67). God cleared out Zechariah’s lack of faith and prepared him for a fresh advent of His Spirit. And just like Elizabeth, his natural response was one of authentic worship! He, too, penned a beautiful praise song to God, ‘Praise be to the Lord, the God of Israel, because he has come to…enable us to serve him without fear in holiness and righteousness before him all our days’ (Luke 1:67-75). Out of this heart disposition, he then dedicated John to the Lord and anointed his ministry—charging him to ‘prepare the way for Him…to shine on those living in darkness and in the shadow of death, to guide our feet into the path of peace’ (Luke 1:76-79). Having been intentionally prepared by God, just a few months after this beautiful advent the earth received the most important advent in all of history—in the form of a baby named Jesus. This advent season, if your worship has grown dull or your heart feels numb, perhaps you are in need of a fresh advent of His presence. And if that is the case, pray for a fresh anticipation for Him—look for God all around you! And do the hard work of preparing room for Him…even if that process is painful. Even if it leads you into the desert. Or into a season of silence. Or seclusion. Trust Him. Allow the hand of God to reach into the dark places of your heart that you’ve fought so hard to keep hidden. An advent will come on the other side. And a heart of worship will come forth like never before. That is my Christmas prayer for you and for me. When we arrived for Christmas at my grandparents’ farmhouse each year, it was always clear that they were joyfully anticipating our coming. But they didn’t just anticipate our arrival, they also intentionally prepared for it. The house was cleaned and decorated, the beds were arranged (including the famous ‘feather bed’ that all of us kids fought over), and the cupboards were stocked with holiday sweets. Anticipation without preparation is hollow. The process of preparation is hard and often painful; it involves a lot of soul-work, surrendering to the conviction of the Spirit—letting Him clean up and clear out my heart, making room for more of God. Back to the story of Zechariah and Elizabeth. I may be giving away the ending, but God had a beautiful advent planned for them—not only would they bear a son, but they would also experience a pouring out and filling of the Holy Spirit. But before this advent could happen in fullness, God had to deep clean and prepare the hidden rooms of their hearts. This process began immediately after the angel revealed to Zechariah that he and Elizabeth were going to conceive a child who would prepare the way of the Lord. Much was revealed about Zechariah’s heart condition by the way he quickly responded to this promise, but ‘how can I be sure of this? I am on old man and my wife is well along in years’ (Luke 1: 18). Out of the abundance of the heart the mouth speaks, and Zechariah’s sharp response fully exposed a heart that lacked faith and trust in God’s providence in his life. Oh, how my Zechariah heart resonates with this trust-struggle. The angel responded, ‘And now you will be silent and not be able to speak until the day this happens, because you did not believe my words, which will come true at the proper time’ (Luke 1:20). 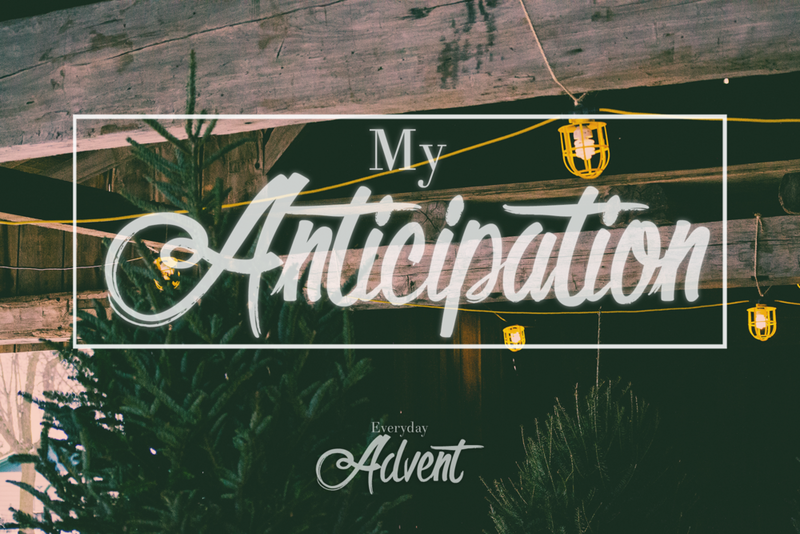 Though seasons of preparation are not always this dramatic, God knew exactly what was required to make His way to the hidden places of Zechariah’s heart to prepare room for His coming advent. What it took was nine months of absolute silence—no opportunity for Zechariah to talk back to God and question His providence. Though little is written in scripture about what exactly God did in Zechariah’s heart in that silent season, I would imagine a great deal of soul-work was accomplished. Sometimes I think I could use a nine-month prescription of silence in my life too. In the same way, God was also preparing Elizabeth’s heart for her Holy Spirit advent! Luke 1:24 records that when she conceived the child that the angel promised them, she spent five months in seclusion. Five months! Alone—with a silent husband and a whispering God. Unlike Zechariah, scripture does reveal some of what God was doing in the hidden places of Elizabeth’s heart during her season of preparation. She declares, ‘The Lord has done this for me…In these days [of seclusion] He has shown his favor and taken away my disgrace among the people’ (Luke 1:25). Living most of her life as a barren woman, I can only imagine the pain and the shame that had permeated the deep corners of Elizabeth’s heart. But how gracious of God to allow a season of isolation—a desert experience—knowing exactly what her soul needed. In her isolation, He was able to reach to the hidden places, to heal her and clear out her shame so that there would be room for His presence to soon come in. What a mercy of God. It is not human nature to welcome the deep-cleaning hand of God. But in order for us to be fully prepared for a fresh advent of His presence, it is necessary. Had Zechariah and Elizabeth not submitted to their God-ordained preparation seasons, the depth of the advent that was about to arrive would be missed. This has been a hard truth for me lately. I often and earnestly ask the Lord to reveal Himself to me in deeper ways, but as soon as that revelation involves any kind of deep cleaning in my heart, I am reluctant. ‘You can go anywhere in my heart, God, just not there…those spaces are best left untouched. Unprepared.’ But He is a jealous God, and He wants all of me! All of my Zechariah lack of faith. All of my Elizabeth shame. And though we don’t know what is to come, He does—so who is better to prepare us for the mystery of what’s ahead than Him? This has been a hard week and tonight I find myself processing a lot and wondering at life and death and all that it means and holds. How brief is this life? How grand is eternity? How consumed have I become with temporal things and fixated on things that just don’t really matter? All questions tossing around in my head. “Death is swallowed up in victory. O death, where is your victory? O death, where is your sting? For sin is the sting that results in death, and the law gives sin its power. But thank God! He gives us victory over sin and death through our Lord Jesus Christ. As I sit staring at the lights on my Christmas tree, taking in the wonder of this season… it’s meaning and beauty runs deeper in my veins. He came for us so that the sting of death could be swallowed up for good, forever. Our victory is so magnificent that even death doesn’t win. With so much pain circling around in my own tiny world, I know, more than ever, that this is a hard season for SO many who are grieving, who are alone, longing, hoping, missing, waiting…so much hard…and yet at the same time what a greater joy is this season to those who are waiting, missing, hoping, weeping to receive this gift of our greatest hope and eternal victory. The One who swallowed up death in Victory for us. Jesus, this Christmas story is so much more than a story or a season — this is everything. All encompassing, all surpassing, all we need — this is it and what it means for us is beyond good news! Death did not win. Sin has been defeated. Jesus won! As my heart aches tonight for those known and unknown who are weeping, missing, longing even more my heart is rejoicing in Jesus and what that baby that came for us on Christmas means. Since I was a little girl, I have always had an active mind and active hands. 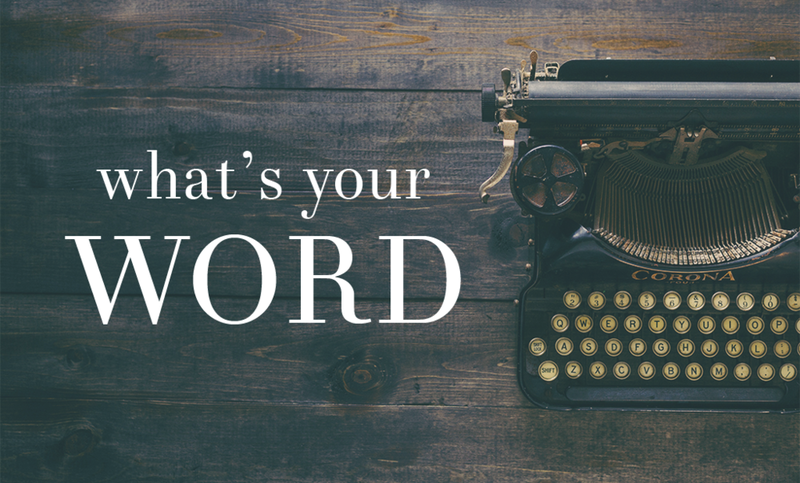 Days when my pastor- parents turned our home into a retreat from the busyness of the week—with resting hearts and unhurried hands—were nearly unbearable for me; I needed something to do. One of the questions I asked my parents the most was, ‘What do you want me to make?’ I always had a bent towards creating things; I love the process of putting material around a vision in my head and seeing it through the creation process to the end. Over the years, my parents’ answers to that question led me to create things like 3D colonial villages made from cardboard, cardhouses the size of the living room, amateur movies about saving the neighborhood from disease, and scripts to plays that we performed at the entryway of our house (yes, I cast Ally in those plays...and yes, I always made her play the male roles). When I finished one project, I was immediately onto the next one. Idle hands are the devils workshop (Proverbs 16:27), right? When I was young, I had a surplus of energy to keep up with this creative cycle. And though my love for creativity has not changed, as I have gotten older my energy and ability to sustain that creative pace has slowed. And at times, it has left me on the brink of burn out. That’s where I found myself in recent months. The past year was full. Ben and I bought and renovated our first home, dove into full- time ministry at Madison Park Church, welcomed our beautiful niece into the world (Ivey Ray), and we released our newest album We Hymn with Alanna Story. So many projects—so much energy expended—and my heart was swept up in it all. Tunnel vision is a beast; and burn out is its best friend. We released We Hymn in April, and what a joy it has been to see how God is using it in His Church. I loved getting to create it, and I am honored to steward those songs in the years to come. It’s always a demanding journey to produce a new album, and I have found the hardest part of the creative process is the end. After expending so much time and energy on creating this work—energy that few people see—we inevitably arrive at the point where we determine that yes, now it is ‘finished’. And we let it go. To everyone around us, it is just the beginning of their encounter with it. But to me, it is the end of an exhausting affair. The sudden calm after a long whirlwind. Typically after we have released an album, we jump right into a busy travel season. But this time was different. Because of having a new baby in the band, we left a lot of margin in our schedule. So literally overnight, I went from waking up every morning (for a year and a half straight) on mission with a to-do list that wouldn’t quit to waking up most mornings with very little on my schedule. In the days and weeks that followed the We Hymn release, I found myself wrestling with God. Actually it was more like an all-out brawl with His heart and mine. I was exhausted. But the child in me that is wired to stay active and bent towards producing naturally jumped right into nagging Him, ‘Ok Lord, what’s next?’—‘What do you want me to make now?’ But God was silent. The silence paralyzed me. I didn’t know what to do with myself, with my time, with the sudden space to rest. Like Elijah in the desert after he defeated the prophets of Baal, I have never wanted to quit more than I did in that season. ‘I have had enough Lord’ (1 Kings 19:4.) I felt all washed up. Spent. Discouraged. Defeated. I had more margin in my life to rest than I knew what to do with, but I couldn’t slow my heart down enough to embrace it. And all the while my knee-jerk reaction was to try and jump into the next project. But God wouldn’t allow it. It felt like a loving yet serious slap across the face. It shook me up and woke me up. In that moment the scales lifted from my eyes, and I saw clearly just how intertwined my soul had become with my performance. Not performance in terms of what happens on a stage, but performance in terms of what I do. And when the doing was removed from my heart equation, I felt a little lost. Performance says I am what I do. Rest says I am what He did. My need for doing and my inability to rest revealed just how Old Testament I was. The law says that my standing with God is based entirely on my ability to perform and produce—and I can never do enough or be enough to meet that impossible standard. But the Cross is a beautiful permission slip to rest because there is nothing I can do to allure or repel God’s love; I get to just rest in knowing I don’t have to try so hard. Rest is God’s provision for my Old Testament soul. I have always known that God has given me permission to rest in Him, but I had yet to fully give myself that permission. When I came to this realization in May, rather than getting overwhelmed with how far I had drifted and making a list of all the things I needed to do to return to fullness, I let the Spirit guide me in my recovery process. I love that Jesus calls the Holy Spirit our ‘Counselor’—oh, how much (free!) therapy He has given me over the years. And in this past season, the Spirit has helped unravel the tangled web of my heart and my production and create margin to relearn how to rest in Him. Like the angel spoke to Elijah in the desert, the Spirit whispered to my heart: ‘Get up and eat, for the journey is too much for you’ (1 Kings 19:7). He gave me permission to take my eyes off the journey for a while and focus on replenishment instead. I’ve been taking small, manageable steps; doing only the things I must do each day and filling the rest of my time with the things I want to do. I’ve spent time cooking, gardening, decorating, golfing. I’ve spent time around the table with people who inspire me. I started a new journal and bought a stack of new books to tackle this summer. Some days I crawl into bed having not produced anything tangible that day...and I’m learning to be okay with that! Slow and steady, my heart is returning to wholeness. I’m learning to lead authentically and to worship from a place of reality. To live and lead while being ‘in process’. The Cross means something different to me now. Yes, it is the image of love and grace and mercy. But when I approach the Cross right now, I find rest. I find my permission to let go and just be. I am a mess that is being untangled one heartstring at a time. I am coming alive again, and the Cross is my inhale and my exhale—my permission to breathe and rest. What special stylings, if any, have been infused into the music to make it fresh for today’s worshiper? The challenge with the styling of this project was to bring fresh sounds to these songs while also keeping them accessible enough so that local churches can use the arrangements and recreate the sounds in their services. So while we definitely experimented with a lot of programmed sounds on this project (i.e. synths, electric drums sounds, etc.) as well as some of the folk instruments you would expect to hear from Alanna Story (accordion, mandolin, strings etc. ), we also used a choir and a full band so that it reflects the kind of corporate sound that many churches use in their local context. This holiday season has felt so different for me. Not only is it flying by, but I find my heart, being completely honest, a little distracted and more focused on the arrival of my little girl than the birth of Christ this year. I suppose that’s to be understood, right? I have been nesting like crazy these past few weeks that we’ve been nestling back into home life and off the road for a season. It has been so much fun putting the finishing touches on her nursery, pulling tags off of her tiny new clothes and washing and putting them neatly in her drawers. I go into her room often and just stare, imagining what it will be like in a few weeks when she’s with us! Hard to wrap my mind around. A few nights ago I was in my bedroom putting some laundry away and I found myself looking, again, at her 18 week ultrasound photo (the one where we found out we were having a GIRL) which sits framed next to my bed. It hit me not only how tiny she was then but even more how much she has grown and developed in the past several months. The last time we got a peak at her she was roughly the size of bell pepper (strange that babies get compared to random fruit and vegetables but oh well) — only 5 and half inches long and few ounces. And since then how she has changed and developed so much but I can only feel it. I am aching to see her face! To see whose features she has, which I’m praying she has Stephens blue eyes. I can’t wait to hold her and smell her smell and watch her be her. I can’t wait to lay eyes on our little girl! Then it dawned on me… all this anticipation that I feel for her is only a glimpse of what it will be to lock eyes with Jesus face some day. The anticipation that all of heaven must have felt when Christ came to earth at Christmas and now how heaven and His bride ache for the day He will come again for us, once and for all, to redeem and set us free! It was a revelation moment for me as I stared at that picture. My anticipation and story is only a shadow of the grandest story of all. Still I say, Thank you Jesus that you give us glimpses into what you are doing on much grander scale. A peek into His heart and how He loves and longs for us. I anticipate the moment I lock eyes with our daughter. It will be one of the grandest moments of my earthly life AND a taste of what’s to come. Praying this Christmas season for a fresh longing to see my Saviors face and that the anticipation for His return would burn more and more in my heart! "Beloved, we are God’s children now, and what we will be has not yet appeared; but we know that when he appears we shall be like him, because we shall SEE him as he is." As we were driving to the studio, I heard report of a massive mudslide that demolished and buried the village of Oso in the foothills of the Cascade Mountains. It was the largest mudslide in Washington state history, taking out a whole square mile of terrain, neighborhoods, and a major highway as the entire side of a mountain gave way with tsunami force. Though we live in the Midwest, western Washington is our home (our parents pastor an amazing church right on the coast). Oso is just north of my home, and it is where our family went to fish and camp. We drive I-530 (now obliterated by the mudslide) when we want to ‘go somewhere beautiful’. As we drove in anticipation towards our new studio in Iowa, I looked at photos of the devastation and called my Mom to check in. With concern in her voice, she told me that our family friends, the Millers, did not show up for church that morning. Larry and Sandy Miller always sat in the row behind us at church. They ran the marriage ministry and led the men’s discipleship program. They were involved in everything—always serving, always present. Many years ago they had a dream of building a home that could be used as a retreat for couples they mentored in the marriage ministry. So they bought a stunning piece of property right on the Stillaguamish River and began the long, arduous work of constructing the home. My parents took motorcycle trips to the property on their days off to see the progress. The Millers spent almost every weekend working on the home, and they were only a few short weeks away from moving in. Friends unmistakably placed Larry and Sandy at the home on the Saturday morning when the mudslide hit. Geologists say that from the time the land gave way, it took only 4 seconds for it to hit the Millers’ dream home, demolish it like it was put into a blender and spit back out, then cover it in upwards of 15 feet of mud. Only 4 seconds. My heart sunk as I heard the news and imagined the scene. As my parents mourn the loss and also try to lead a large congregation through the tragedy, my Dad reminded me of his ministry creed: Preparing People for Christ’s Coming (PPFCC). At the core of his ministry, he wants people to be ready at every turn to meet the Lord. A few years back, he launched a church-wide campaign called ‘Are You Ready?’ They made pins to wear to begin conversations with people about their spiritual readiness. The Millers were the biggest cheerleaders for the campaign. In fact, Larry wore one of the pins everywhere he went. Even several years after the campaign was launched, he still wore a pin every Sunday on the lapel of his suit coat. He was ready, and he wanted others to be as well. We arrived in Iowa and immersed ourselves in 16+ hour workdays. And though the project was coming together beautifully, I found myself on the brink of tears everyday, sitting in my little corner of the studio control room, trying to unpack why the tragedy was hitting me so hard. The Millers will be greatly missed by my family and the NCC community, and the photos of the devastation are enough to tear your heart apart. But there was something deeper in me that was stirred. I looked around this beautiful studio, and I thought about the years it took to dream up and build that space. So much of my heart was attached to that work. It was so much like the Millers and their dream home. And then I realized—it only took 4 seconds for nature to wipe out the many years of plans, dreams, work... and ultimately their very lives. It is really easy to obsess about building little kingdoms. We plan, invest, insure, and grow our little kingdoms so that some day we can retire, put our feet up and disappear in them. But when our focus is fixed on earthly things, our souls and the kingdom of God quietly suffer. ‘For what does a man have if he gets all the world and loses his own soul?’( Matt. 16:26). We cannot take any of our stuff with us, and one day we will be judged only for what is unseen—our own heart condition and our soul work. So shouldn’t we be investing way more in those things? The things that we will take with us. Because in 4 seconds all of our earthly things could be taken away. And in the same 4 seconds we could be swooped up to Jesus’ side. It is amazing to look back and remember where the Lord has brought us. I don’t take the time often enough to journey backwards and just — remember. I am so thankful for pictures and how they can so vividly and tangibly remind me and take me back. I would forget so much without them. On our way down to Nashville a few nights ago the five of us were just talking and reminiscing about all the stories and experiences we have had up to this point — the good, the bad and the ugly. We were trying to pass time so I opened up an old folder of photos on my computer and just began to look through and literally see so many faces and venues, strange haircuts and awkward outfit choices, just laughing and standing in awe of ALL that God has done and all the places He has put before us. It almost felt divine that we stumbled on those photos as we were traveling down for some very pivotal meetings and preparing to take some new steps of faith as band. To remember and see what the Lord has done over the years and to really savor the gifts of the journey thus far. Two little girls who loved music and were given the freedom to discover and uncover their passion for it could never have imagined that we would find ourselves here today with already such a story to tell. When we choose to follow Jesus, life is such a glorious adventure ! I take such comfort and joy in the hand of the Lord on my life, on our lives and today I just delight in what he HAS done and look forward with expectation for what He is going to do. Take some time to look back and see all that God has already done in your life. I hope you see so many gifts and how the faithful hand of the Lord has been with you every step of the way.